Home > Nuance Communications, Inc.
Found 2 file extension associations related to OmniForm and 2 file formats developed specifically for use with OmniForm. 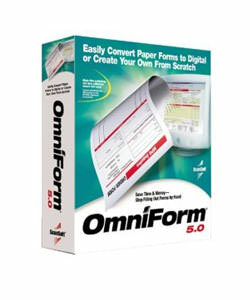 OmniForm is the best-selling personal forms management software. It enables an individual to quickly turn paper forms into digital forms, or to create new digital forms from scratch. OmniForm 5.0 comes with a complete set of pre-designed templates to facilitate the creation of new forms. The OmniForm software seems to be old or discontinued. If you need more information please contact the developers of OmniForm (Nuance Communications, Inc.), or check out their product website.